The Dutch represent the second wave of European exploration/imperialism (1st= Spain, Portugal; 2nd=Dutch, British). The Dutch Empire is dominated by the Trading Company chartered under the Dutch Republic. The Dutch East India Trading Co. is one of history's most successful businesses/corporations. 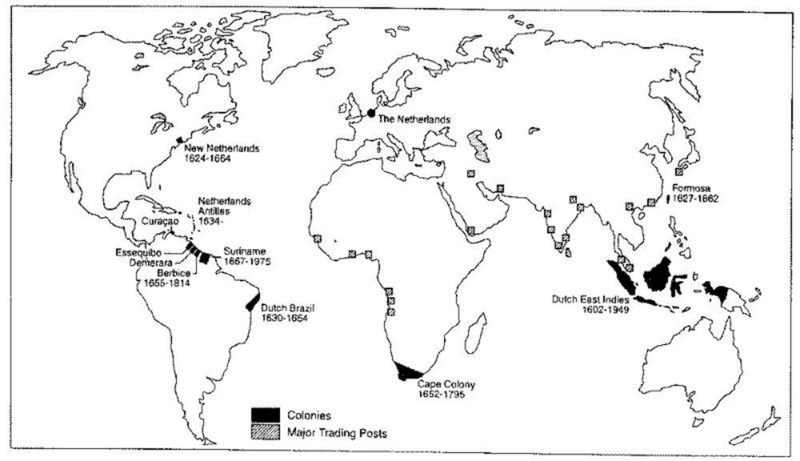 The Dutch East India Trading Co. (VOC) came to dominate the spice trade of the East Indies. In the Early Modern Period, the Dutch East India Trading Company is the premier global corporation. DUTCH EAST INDIA TRADING Co. CLIP TWO: DUTCH EAST INDIA TRADING Co.